Clement Leibovitz and Alvin Finkel challenge the familiar understanding of Munich as the product of a naive appeasement of Nazi appetites. 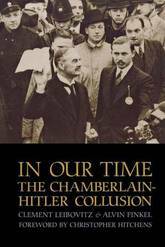 They argue that it was the culmination of cynical collaboration between the Tory government and the Nazis in the 1930s. 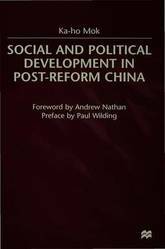 This book is a sociological study of how economic reforms, started in the late 1970s, have affected people's life in China. 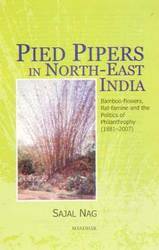 The book is based upon the author's recent research projects conducted in mainland China. 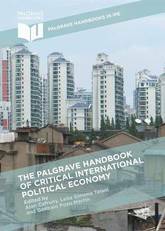 The unique feature of the book is not only based upon qualitative analysis but also quantitative data, the integration of which can enhance readers' understanding of current social and political developments in post-Mao China. In particular, the book aims to depict a context and sociological framework for the analysis of the dynamic and interactive processes between economic, social and political fronts. Challenging the assumptions of `mainstream' International Political Economy (IPE), this Handbook demonstrates the considerable value of critical theory to the discipline through a series of cutting-edge studies. The field of IPE has always had an inbuilt vocation within Historical Materialism, with an explicit ambition to make sense, from a critical standpoint, of the capitalist mode of production as a world system of sometimes paradoxically and sometimes smoothly overlapping states and markets. Having spearheaded the growth of a vigorous critical scholarship in the 1960s and 1970s, however, Marxism and neo-Gramscian approaches became increasingly marginalized over the course of the 1980s. 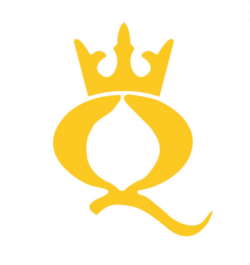 The authors respond to the exposure of limits to mainstream contemporary scholarship in the wake of the onset of the Global Financial Crisis, and provide a comprehensive overview of the field of Critical International Political Economy. 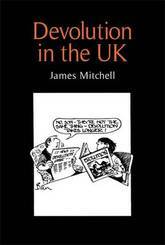 Problematizing socioeconomic and political structures, and considering these as potentially transitory and subject to change, the contributors aim not simply to understand a world of conflict, but furthermore to uncover the ways in which purportedly objective analyses reflect the interests of those in positions of privilege and power. 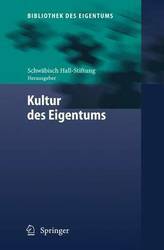 Kultur des Eigentums, als dritter Band der Reihe Bibliothek des Eigentums strebt an, in vielen Variationen uber das Grundthema Eigentum nachzudenken, sein Versprechen und seine Gefahrdungen. Denn die Kultur des Eigentums hat vielerlei Auspragungen, von den altesten wie Grund und Boden bis zu den neuesten wie Patentwesen und Copyright. Nichts davon ist abschliessend gesichert, sondern muss Tag fur Tag vertreten werden, gerechtfertigt und verteidigt. Dieses Buch beleuchtet in der Perspektive des Eigentums die geistesgeschichtliche Lage der Gegenwart und leitet den Blick auf die Zukunft. Nicht zufallig ist der Anlass der Entstehung dieses Bandes: Der 75. Geburtstag der Bausparkasse Schwabisch Hall im Mai 2006 eine Institution die eben ein Dreivierteljahrhundert fur Eigentumsbildung und Eigentumskultur uber Deutschland hinaus steht. In this historical geography of the British colonies of Barbados and the Windwards (St. Lucia, St. Vincent, and Grenada), Bonham C. Richardson describes the economies, environments, and societies of the four geographically dissimilar islands and outlines the severe economic depression they experienced following the 1884 plunge in London sugar prices and the exacerbating effects of two catastrophes, a massive hurricane in 1898 and a volcanic eruption in 1902. In a novel approach, Richardson emphasizes the effects of the islands' physical environments and devotes chapters to climate, waters, lowlands, and highlands. He also demonstrates how these environmental zones and resources were contested by different socioeconomic groups, leading him to one of his most provocative arguments: that depression-induced demonstrations and riots in the islands in the late 1890s in large part precipitated the Royal Commission's wise decision to advocate the break-up of sugarcane plantations into smaller shareholds. Thus, Richardson demonstrates the ways in which working people, far from being victims of colonialism, managed to influence British decision makers so that each island developed a unique adaptation to the economic and geophysical stresses placed on it, proving fruitless the British attempts to regionalize the islands under a single policy. Throughout, Richardson's discussion of insularity and islandness is important to understanding problems in the Caribbean today, a century later, and will be of interest to geographers and historians of the Caribbean and to anyone with an interest in small-island economics. 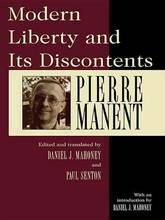 In this book, distinguished French philosopher Pierre Manent addresses a wide range of subjects, including the Machiavellian origins of modernity, Tocqueville's analysis of democracy, the political role of Christianity, the nature of totalitarianism, and the future of the nation-state. As a whole, the book constitutes a meditation on the nature of modern freedom and the permanent discontents which accompany it. 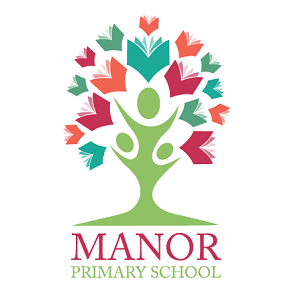 Manent is particularly concerned with the effects of modern democracy on the maintenance and sustenance of substantial human ties. Modern Liberty and its Discontents is both an important contribution to an understanding of modern society, and a significant contribution to political philosophy in its own right. 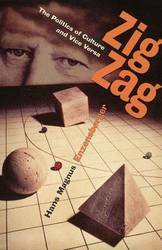 The engaging and inquiring mind of French philosopher Jacques Maritain reflected on subjects as varied as art and ethics, theology and psychology, and history and metaphysics. 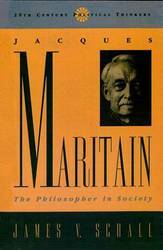 Maritain's work on the theoretical groundings of politics arose from his diverse studies. In this book, distinguished theologian and political scientist James V. Schall explores Maritain's political philosophy, demonstrating that Maritain understood society, state, and government in the tradition of Aristotle and Aquinas, of natural law and human rights and duties. Schall pays particular attention to the ways in which evil appears in political forms, and how this evil can be morally dealt with. Schall's study will be of great importance to students and scholars of political science, philosophy, and theology. 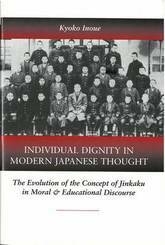 Individ Dignty Mod Jap Thougt CB: The Evolution of the Concept of Jinkaku in Moral and Educational Discourse / Kyoko Inoue. The American draft of the Japanese Constitution included an article expressing that each individual was entitled to respect simply by virtue of being a human being. The Japanese, however, interpreted this concept as respect for jinkaku (moral character). Jinkaku was a strongly elitist concept that gradually acquired more egalitarian meanings during the Taisho period. Yet the hierarchical connotations were still present when the term was used to interpret individual dignity in the Constitution and was later made the foundation of postwar Japanese education. As Japanese discourse began to embrace the American idea that all people are worthy of respect just because they are human beings, and thus their fundamental rights must be protected, it did not adopt the American emphasis on protecting individual rights against the government. Consonant with the ideas embodied in the Constitution, the Japanese teach that government and the people are jointly responsible for bringing about a fair and just society for all. Textbooks thus promote a communitarian rather than individualistic view of democracy.Individual Dignity in Modern Japanese Thought is important for scholars of modern Japanese intellectual history and Japanese democracy, for political scientists interested in political socialization, and for scholars of comparative history, law, politics, and education. 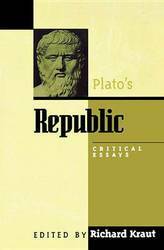 Designed for courses in the history of philosophy, social and political theory, government, and Plato specifically, Plato's Republic: Critical Essays will enrich students' understanding of this profoundly influential work. The comprehensive collection covers Plato's social and political thought, his metaphysics and epistemology, his ethical theory, and his attitude towards women. The essays, chosen for their clarity and ability to stimulate student discussion, are related to one another in ways that will help students see the connections among the various strands of Plato's thought. 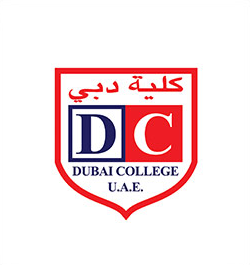 The book includes an index of passages to guide students through parts of the Republic that they find challenging. This concise and penetrating analysis introduces students to the life and thought of one of the giants of twentieth- century French intellectual life. Portraying Raymond Aron as a great defender of reason, moderation, and political sobriety in an era dominated by ideological fervor and philosophical fashion, Brian Anderson demonstrates the centrality of political reason to Aron's philosophy of history, his critique of ideological thinking, his meditations on the perennial problems of peace and war, and the nature of conservative liberalism. 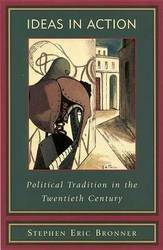 This accessible study of Aron's thought and the thought of his contemporaries will enhance any syllabus for classes on modern and contemporary political thought. 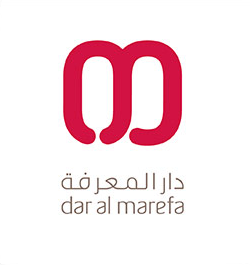 Does market liberalization promote democracy? The accepted answer from scholars, pundits, and politicians alike has been yes. 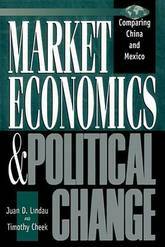 However, the contributors to this innovative study of market reforms and political change in Mexico and the People's Republic of China argue that this easy equation is not only empirically uncertain but methodologically flawed. Using comparative contextual analysis, the contributors carefully identify the elective affinities between these two very different polities to reveal key variables that determine how markets will affect democracy, particularly law as the 'rudder of democracy' and the role of political culture in civil society. 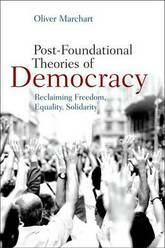 Combines the heated debates between post-structuralist critics and defenders of democracy to create a new theory Are we living in post-democratic times - has democracy turned into an empty institutional shell? The upsurge of democratic revolutions and revolts in the West and the Arab world begs to differ. Does this mean there is a political alternative to existing democracy, or has it become impossible to step out of the 'democratic horizon'? Approaching these unfolding historical developments from the perspective of post-foundational democratic thought, Oliver Marchart creates a new model that reconciles both of these viewpoints. 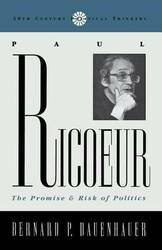 Paul Ricoeur, with Rawls, Walzer, and Habermas as some of his main interlocutors, has developed a substantial and distinctive body of political thought. 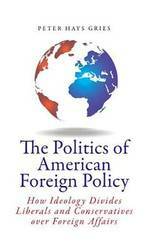 On the one hand, it articulates a rich conception of the paradoxical character of the domain of politics. On the other, it provides a fresh approach to such major topics as the relationship among politics, economics, and ethics and between concern for universal human rights and respect for cultural plurality. 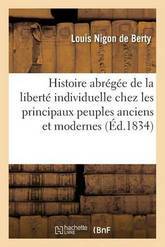 His work, rooted as it is in Aristotle, Kant, and Hegel, also provides resources for a fruitful rethinking of the issues at stake in the liberal-communitarian debate. 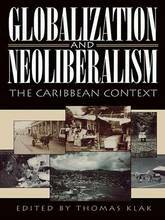 How do recent trends toward globalization affect the Caribbean, a region whose suppliers, production, markets, and politics have been globalized for centuries? What is the status of neoliberal development policy in the Caribbean, where the rewards for belt tightening and economic opening have been slow in coming? How have Caribbean policymakers and citizens responded to and resisted the pressures to conform to the new rules of the global economy? 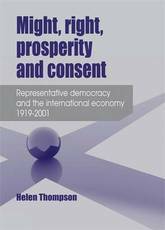 By examining these questions through the lens of political economy, this volume explores the interaction among development, trade, foreign policy, the environment, tourism, gender relations, and migration. With its global implications, this book will be invaluable for students and scholars from all disciplines who are concerned with the impact of development and globalization. 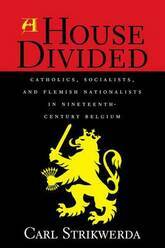 The first book to explore the historical development of Belgian politics, this groundbreaking study of the rivalry between Catholicism, Socialism and nationalism is essential reading for anyone interested in Europe before World War I. 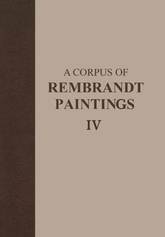 Volume IV of A Corpus of Rembrandt Paintings deals uniquely with the self-portraits of Rembrandt. In a clearly written explanatory style the head of the Rembrandt Research Project and Editor of this Volume, Ernst van de Wetering, discusses the full body of work of paintings and etchings portraying Rembrandt. He sets the different parameters for accepting or rejecting a Rembrandt self-portrait as such, whilst also discussing the exact working environment of Rembrandt and his apprentices. This workshop setting created a surroundings where apprentices could be involved in working on Rembrandt paintings making it more difficult to determine the hand of the master. Van de Wetering, who is one of the Rembrandt experts of our day and age, goes down to great detail to explain how the different self-portraits are made and what techniques Rembrandt uses, also giving an overview of which paintings are to be attributed to the Dutch Master and which not.  In the additional catalogue the self-portraits are examined in detail. In clear and accessible explanatory text the different paintings are discussed, larded with immaculate images of each painting. 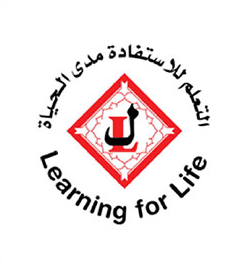 Details are shown where possible, as well as the results of modern day technical imaging like X-radiography. This work of art history and art research should be part of every serious art historical institute, university or museum. Nowhere in the art history have all Rembrandt's self portraits been discussed in such detailed and comparative manner by an authority such as Ernst van de Wetering. This is a standard work for decades to come. 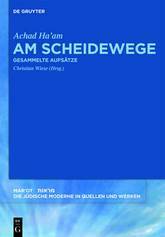 The new edition of Achad Ha am s Am Scheidewege [At the Crossroads] makes essays published by the founder of Cultural Zionism in 1923 accessible again for the first time. In these works the author sets out his view of Jewish identity and, in debate with the political Zionism of Theodor Herzl, advocates a Jewish nationalism that focuses above all on the cultural renewal of Judaism in Europe. An introduction and commentary by the editor Christian Wiese explain the significance of these writings which are crucial to Jewish self-conception in the modern age. Do human beings become creatures of the technology they create? Is gender an artifact of the work performed by such manufactured things? Drawing on a broad variety of literary and philosophical sources, including Homer's Iliad, Mary Shelley's Frankenstein, accounts of the 1986 nuclear disaster at Chernobyl, and recent scholarship in feminist, postmodern, and political theory, this impressive book offers strikingly original ways for readers to think about technology, gender identity, culture, the environment, politics, and the ways women and men struggle to make sense of the gifts of Prometheus. 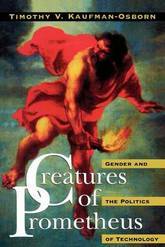 This book will be of interest to students and scholars of political theory, environmental thought, and gender, cultural, and literary studies. The ethnographies collected here offer a surprising and compelling picture of change in Russia and Eastern Europe found in no other book to date. 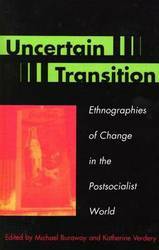 Looking at the everyday processes by which individuals and groups forge new lives, the authors challenge the idea that we can understand this transformation by the predictable models_whether capitalism, post-socialism, modernity, or postmodernity. The collection brings together a wide-ranging group of authors from sociology, anthropology, and political science to reveal the complex relationships that still exist between the former socialist world and the world today. 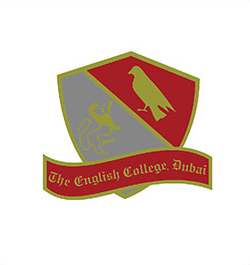 Through evocative ethnographic research and writing, they bring to light the unintended consequences of change and show how the 'slates' of the past enter the present not as legacies_but as novel adaptations. Often what appear as 'restorations' of patterns familiar from socialism are something quite different: direct responses to the new market initiatives. 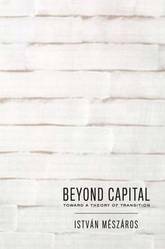 By showing the unexpected ways in which these new patterns are emerging, this book charts a new and important course for the study of post-socialist transition. In seinem Kopf stellte er die mathematische Welt auf den Kopf. Er berechnete Fl ssigkeitsstr mungen, das Tr gheitsmoment, entwickelte die Variationsrechnung und die moderne Zahlentheorie. Als Wissenschaftler steht er auf einer Stufe mit Newton und Einstein. Konstrukteure in aller Welt arbeiten tagt glich mit seinen Formeln - egal ob es um den Schiffsrumpf der Alinghi geht oder um die Schwingungen des Viaduc de Millau, der Welt h chster Autobahnbr cke. Dabei war er ein Mensch, der b rgerliche Behaglichkeit und Ruhe liebte. Nicht ganz einfach zur Gr ndungszeit von St. Petersburg inmitten russischer Kaisermorde oder im Berlin zur Zeit der schlesischen Kriege. Und erst recht nicht inmitten einer grossen Kinderschar. 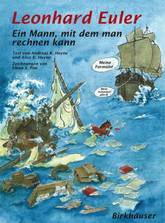 Der Comic von Elena Pini (Graphik) und Alice und Andreas K. Heyne (Text) zeichnet das Leben des genialen Baslers nach, der vor 300 Jahren geboren wurde, mit zwanzig Jahren seine Heimatstadt verliess - und nie wieder zur ckkehrte.